ALM would like to welcome you to the RCI Show 2019, come along to stand G3 and talk all things lead and hard metals. There will also be practical demonstrations taking place throughout both days. Stop by and leave your details for a chance to win a great prize. 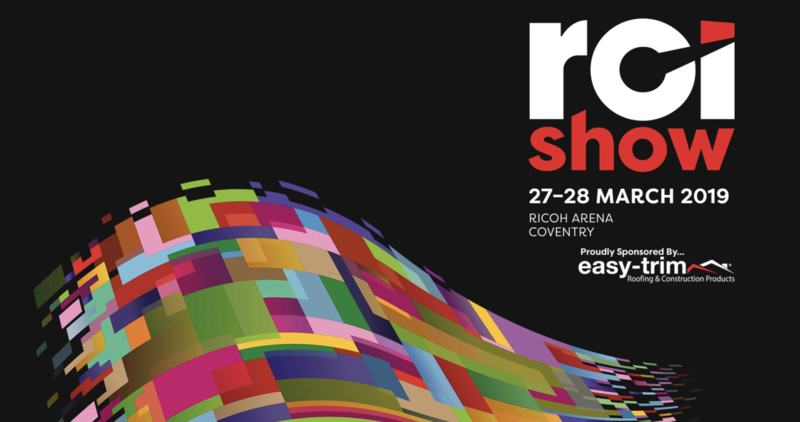 See you on the 27th or 28th March at the Ricoh Arena. 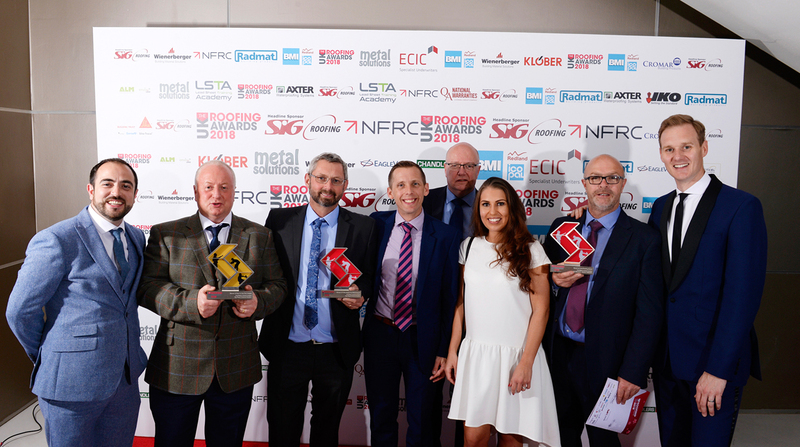 Congratulations to Full Metal Jacket for scooping 3 firsts at this year’s NFRC roofing awards. 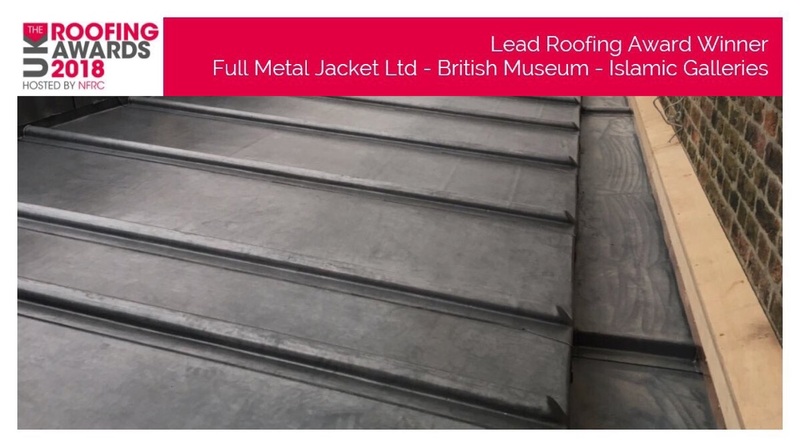 In the Lead Roofing category – The British Museum Islamic Galleries installing Enviro Lead supplied by Associated Lead Mills. 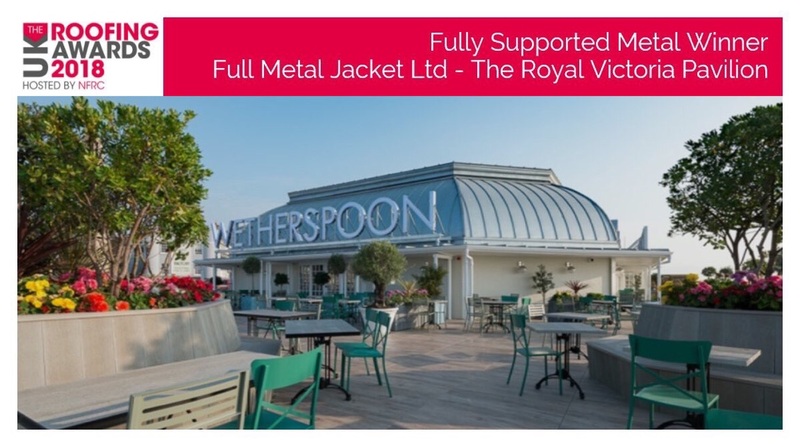 In the Fully Supported Metal – The Royal Victoria Pavilion installing Rheinzink Bright zinc supplied by Associated Lead Mills Hard Metals. 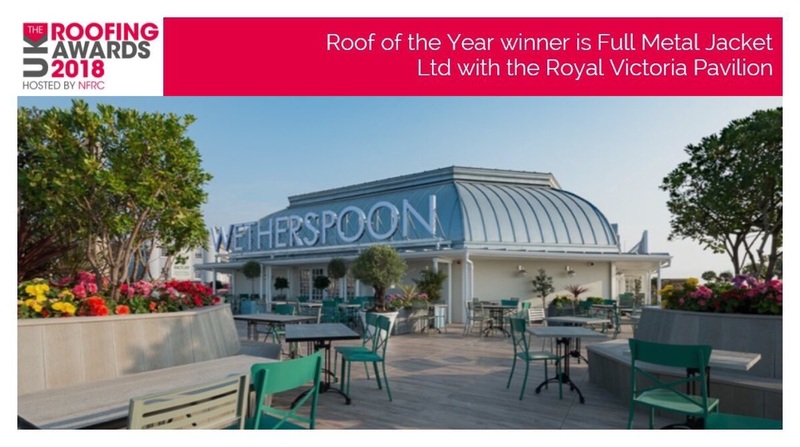 And to cap it all The Royal Victoria Pavilion was voted “Roof Of The Year”. Congratulations all round, a positive partnership in action. The National Construction Training Service (NCTS) is a provider of training for the roofing industry. Dedicated to ensuring an outstanding level of training across the many roofing disciplines in metal, flat and pitched roofing. The professional and progressive programme of courses are designed to inspire and educate roofers across the country. They work with roofing federations, roofing training groups, manufacturers and employers from across the industry and are able to offer a variety of comprehensive training courses designed to fit with your needs, no matter your level of skill. Associated Lead Mills and ALM Hard Metals endeavour to deliver all materials using our own team of drivers and fleet of vehicles. No matter how big or small the order, ALM can deliver using any of the several trucks we run on a daily basis. Our trucks can deliver anything from 1 metal sheet to 20+tons in coil with HIAB Crane Offload available upon request. We also run small trucks to cater for awkward site access and small order deliveries. Once a contract is placed for large order quantities, ALM will hold the stock in our secure premises and allow the customer to “call off” material as and when required. Invoices are only raised upon delivery so providing the customer initially secures their order with a contract, we will hold the price set by the contract preventing any effects the London Metal Exchange may have on the metals worth. 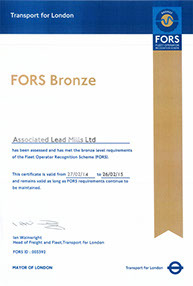 Following strict assessment, ALM’s whole transport department has been awarded FORS accreditation. FORS is a method of recognising fleet operations which comply with the requirements of the FORS standard. The FORS standard is based upon lawfulness, safety, efficiency, and environmental protection. ALM meets the criteria set out in the FORS standards following a company audit which took place on our premises and was carried out buy an independent FORS auditor. Order collection is also possible from either of our two Hoddesdon based warehouses. Associated Lead Mills are the main sponsor for the Murdoch Awards. The Murdoch Awards is the ultimate accolade for any lead worker confident enough to put their projects forward allowing their workmanship and abilities to come under the scrutiny of judges and peers. 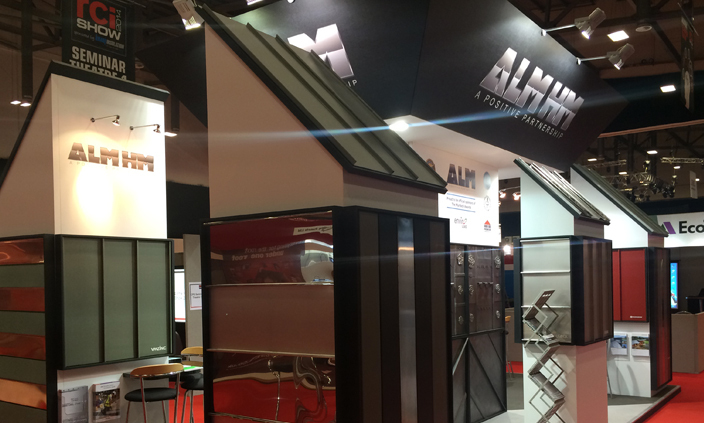 With regard to associations, ALM are members of all governing bodies ensuring that as a distributor to the UK industry, we are kept up to date with details and information that could affect our customers which include installers, fabricators, architects and main contractors. We are pleased to be members and associate members of the following. NBS Specifications for all Rolled Lead roofing, cladding, flashing and penetration. If you experience problems, please feel free to request via email or phone and an ALM representative will be happy to forward arrange. 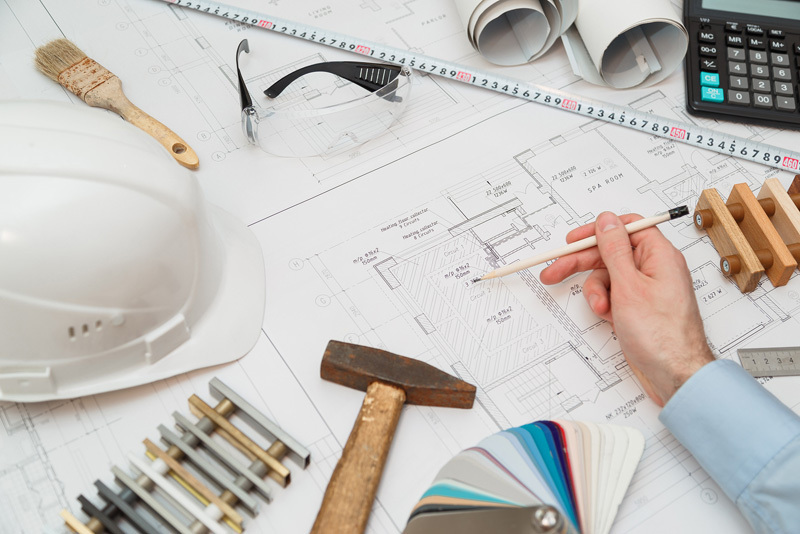 All users should be aware when using any materials that getting the specification right first time is an essential part of the design process. Failure to form a clear specification will cause major problems for all those involved in the build potentially causing on site chaos. This can reflect badly on those involved costing the main contractor and / or the client potential loss of revenue. A well written specification can only enhance project delivery which in turn saves money for all involved. Our products, made out of copper or copper alloys, have natural or nature identical surfaces that will continuously develop and react upon atmospheric influences. The special manufacturing technology used allows colour variation in the individual sheets/coils. Furthermore, variations within the development of the sheets/coils in outdoor weathering and ambience conditions are possible and do not constitute a defect. The products made out of TECU ® copper or copper alloys, like TECU ® Patina, TECU ® Iron, TECU ® Oxid, TECU ® Zinn, TECU ® Brass, TECU ® Bronze and TECU ® Gold, are special products, in parts exclusively produced upon customer request. We herewith point out that, in the event of possible re-orders / subsequent deliveries, the new production will take a specific period according to the respective production time, most likely, cannot be effected immediately and can also be liable to minimum quantities. The film covering is designed to protect the surface of sheet or coil material during fabrication/processing and installation. It must be removed as soon as possible after installation, especially when exposed to external weathering and UV radiation (sunlight). This protective film is only a temporary covering. Avoid a storage time longer than 3 months. Foiled copper or copper alloys have to be stocked in conditioned rooms. Please remove the film with care and check the metal surface for potential adhesive residues. Any adhesive residues must be removed with care (e.g. Acetone swab) to permit normal weathering. Delivered TECU Patina sheets can have variations in color. Within a single sheets color from light green to blue green are possible. These variations, found after production, within single sheets, adjust within a few weeks by themselves and are dependent on weather conditions and building situation. TECU Patina sheets which are installed in an area protected from rainfall will require a longer time for the development. An interior application of TECU Patina should be discussed with the KME-Team because the development may take a very long time. Each single sheet is unique and may develop itself individually. Our products, made out of copper or copper alloys have natural or nature identical surfaces, that will continuously develop and react upon atmospheric influences. The special manufacturing technology used allows color variation in the individual sheets. Furthermore variations within the development of the sheets in outdoor weathering and ambience conditions are possible and do not constitute a defect. The products made out of TECU(R) copper or copper alloys like TECU®- Patina, TECU®-Iron, TECU®- Oxid, TECU®-Zinn, TECU®-Brass, TECU®- Bronze and TECU®-Gold are special products, in parts exclusively produced upon customer request. We herewith point out that in the event of possible reorders / subsequent deliveries, the further production will take a specific period according to the respective production time and most likely cannot be effected immediately and can also be liable to minimum quantities. Deviations of the surface appearance: Delivered TECU Patina Hamburg, Boston, Madrid and Oslo sheets can have deviations in their appearance, within single sheets, from sheet to sheet or from delivery to delivery. Also the appearance of the delivered sheets may differ to samples which were presented. As known for the TECU Patina, also these TECU Patina variations will develop across their surfaces in relation to the building location, prevailing weather conditions and the atmosphere. Each single sheet is unique and may develop itself individually. In case of planned internal application we urgently ask you to contact the KME Team before your order. The products made out of TECU(R) copper or copper alloys like TECU®-Patina, TECU®-Iron, TECU®- Oxid, TECU®- Zinn, TECU®- Brass, TECU®- Bronze and TECU®-Gold are special products, in parts exclusively produced upon customer request. We herewith point out that in the event of possible reorders / subsequent deliveries, the further production will take a specific period according to the respective production time and most likely cannot be effected immediately and can also be liable to minimum quantities. Guarantee: The perforating process impacts significantly on the sheet surface. Return / Exchange: As the material has been produced ‘to order’ and is bespoke, we cannot accept any material return / exchange. For the same reasons, it is not possible to supply small top-up amounts after the main order. The usual tolerances for perforated sheet apply. On request, we can specify these more closely. Please note that the manufacturing process may cause a wider tolerance on the supply quantity of finished material than usual, therefore the supplied quantity of finished material may be more or less than stipulated. Please allow for this in your calculations. TECU® Classic_Coated consists of Cu-DHP Copper, according to the standard EN 1172 and shows a typical copper rolled surface. Through the “coil coating” process, a transparent coating is applied to the copper surface, which protects the surface against natural weathering. Production-related colour variations of the rolled mill finished copper surfaces are possible and do not constitute a defect or quality deficiencies. TECU® Classic_Coated is a bespoke product, which is produced to customer requirements. “Top-ups” or subsequent deliveries will be subject to production lead-times, minimum order quantities and lot sizes. The temporary protective plastic film is designed to protect the surface of the sheet / coil material during fabrication / processing and installation. It must be removed as soon as possible after installation, especially when exposed to external weathering and UV radiation (sunlight). Please remove the temporary protective plastic film with care and check the metal surface for potential adhesive residues. Any adhesive residues can be removed with care using an appropriate cleaning agent e.g. Acetone. It is essential to follow the processing and application instructions found inside the packing unit, provided by KME. Delivered TECU Iron one and two sheets can have deviations in their appearance, within single sheets, from sheet to sheet or from delivery to delivery. Also the appearance of the delivered sheets may differ to samples which were presented. These sheets will develop across their surfaces in relation to the building location, prevailing weather conditions and the atmosphere. Each single sheet is unique and may develop itself individually. TECU®-Oxid, TECU®- Zinn, TECU®-Brass, TECU®-Bronze and TECU®-Gold are special products, in parts exclusively produced upon customer request. We herewith point out that in the event of possible reorders / subsequent deliveries, the further production will take a specific period according to the respective production time and most likely cannot be effected immediately and can also be liable to minimum quantities. The products made out of TECU ® copper or copper alloys like, TECU ® Brass Artisan, are special products, in parts exclusively produced upon customer request. It is to be expected that there is variation across this surface and will develop with natural weathering. We herewith point out that in the event of possible re-orders / subsequent deliveries, the further production will take a specific period according to the respective production time and most likely cannot be affected immediately and can also be liable to minimum. TECU® Brass_brownished consists of Brass CuZn30 according to the standard EN 1652 and shows a typical rolled surface, which is burnished (brownished) in an industrial process. We expressly declare that due to the production process we do not guarantee for a consistent stable and unchangeable surface. Production-related surface and colour variations like clouds, cords and streaks on the finished brownished Brass surfaces are possible and do not constitute a defect or quality deficiencies. In principle it is to be expected that colour variations can occur during the brownishing process. A production is carried out on the basis of the condition of a prior sampling and written confirmation. A claim can only be accepted 5 days after delivery. We therefore kindly request your prompt goods inwards inspection. After the brownishing process the surface is treated with a temporary wax fluid, which is necessary for the preservation of the surface. The consistently application of the wax fluid is to be checked during the installation work. Eventually using a soft cloth the wax fluid needs to be evenly spread or renewed under consideration of the surface’s grinding direction (linear or circular grinding). If required the wax fluid can be removed and applied completely new. The preservation avoids or rather slows down the weathering process. By the building owner the preservation should be considered within the planned provide cleaning intervals. Please note this wax fluid continuously weathers off and the natural weathering process of the TECU® Brass_brownished surface starts. TECU® Brass_brownished surfaces are factory-refined and should be handled and processed with special care. After installation in coastal regions, TECU® Brass_brownished surfaces may show a varying weathering behavior. TECU® Brass_brownished is a bespoke product, which is produced to customer requirements. “Top-ups” or subsequent deliveries will be subject to production lead-times, minimum order quantities and lot sizes. At Associated Lead Mills Ltd we are committed to maintaining the trust and confidence of our website visitors and customers by respecting, protecting and offering transparency regarding the data we gather and hold on you. The objective of this policy is to offer you an insight into how we collect and store your personal data that you have provided to us. We do not sell trade or rent our customer data under any circumstance. Associated Lead Mills Ltd is committed to ensuring that your privacy is protected. Should we ask you to provide certain information by which you can be identified when using this website, then you can be assured that it will only be used in accordance with this privacy statement. Associated Lead Mills Ltd may change this policy from time to time by updating this page. You should check this page from time to time to ensure that you are happy with any changes. ALM forms part of the 2im Group (International Industrial Metals) and within this group, we are a recycling plant, a manufacturer and lead processor for BS EN 12588 Rolled lead and a manufacturer of high end specialist cast products for Nuclear, Medical and other specialist industries. Furthermore we are the distributor of all our materials meaning the materials we make have an unrivalled chain of custody. The metal we manufacture is solely obtained from expired car batteries which historically would have been landfill. Today, 2im take these batteries and recycle 96% of all constituent parts leaving only 4% waste (polythene) for which we are now close to finding viable source. We sell the deconstructed and cleaned recycled polypropylene (battery casing) in the form of high grade pellets. More importantly, we are able to desulphurise the sulphuric acid present in the battery and put this into a process where we extract high grade salt and sell this onto the detergent and glass industry. The salt is so high grade, it’s also FEMA approved for animal feeds. Learn more about our recycling and manufacturing processes as well as how to specify Enviro Lead by booking a CPD at yours or our premises.